Need for Speed Rivals represents a new beginning for the series, but it also pays respect to the past. It's the first game Ghost Games has released, which is unbelievable considering how much quality is on display. The only thing holding Rivals back are some technical issues, but they'll probably be patched out. Still, they're disappointing for the time being. But is Rivals a great racing game? Absolutely. I played Need for Speed: UndercoverÂ again a few months ago. It’s still one of the worst racing games of the past decade. It’s riddled with bugs, repetitive and stupid. Thankfully, Criterion Games eventually got their hands on Need for SpeedÂ and created some of the best games in the series. The torch was then (mostly) passed to Ghost Games, a new company that used to be EA Gothenburg. 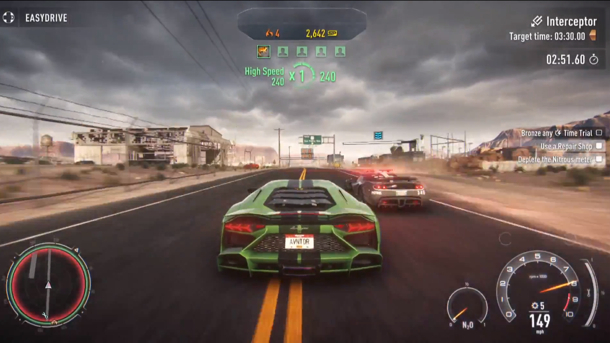 Ghost Games has done an outstanding job with the series in Need for Speed Rivals. Oh, Need for Speed,Â when are you going to stop it with your silly cutscenes? The concept in Rivals Â is that you can play as both a cop (good guy) and a racer (bad guy). Both come with their own “story” and cutscenes. I put “story” in quotation marks because there’s not much to the story in Rivals.Â You’re either going to hear about how evil street racing is or how stupid cops are. Fortunately Rivals Â is also a racing game, which is the area it needed to and does shine in. 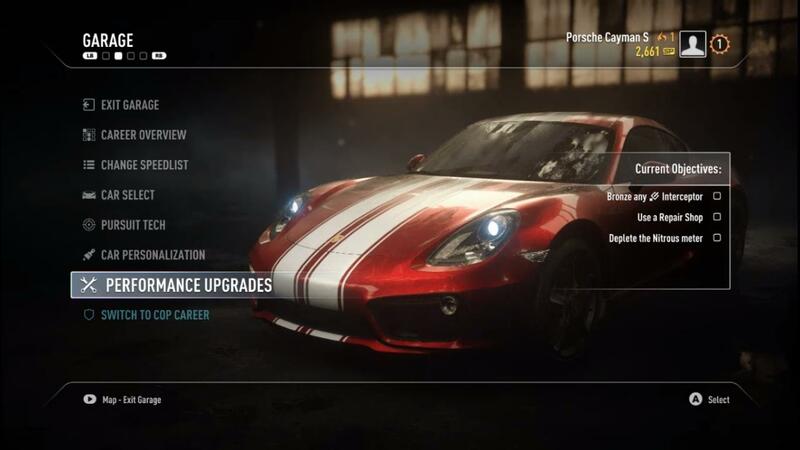 Two career modes are available in Rivals:Â Cop and Racer. Both are based around completing checklists in order to rank up and unlock new vehicles. The checklists offer easy tasks in the beginning, such as simply completing a race. They get longer and more difficult as the game progresses. Each task and every successful stunt and maneuver nets players “speed points”, the currency of Rivals. 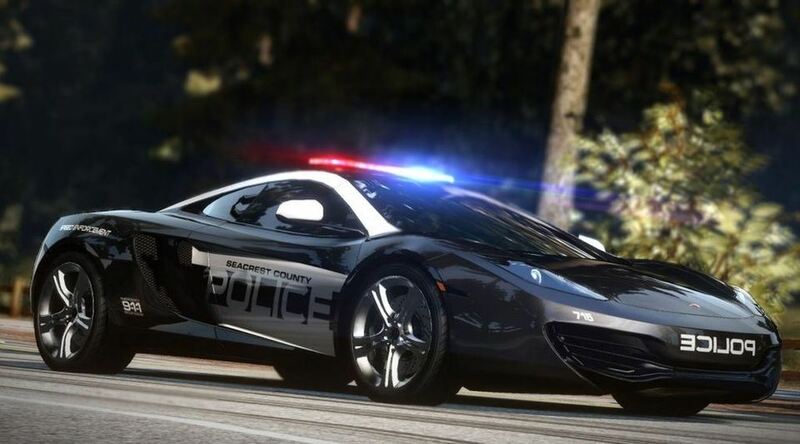 In the Racer career speed points can be spent on new vehicles, vehicle upgrades and “pursuit tech”, which comes in many different forms and is used to disrupt or damage opponents’ vehicles. The Cop career doesn’t allow players to upgrade their vehicles or purchase new ones. New vehicles are only rewarded to players after they rank up. However, cops have better pursuit tech, such as helicopters that swoop down and attempt to take out opponents, which can be upgraded. Players gain access to some pretty awesome vehicles as they rank up in both careers. The catch to the speed points system is that whatever speed points players have acquired while driving around in Redview County (the world in Rivals)Â are completely lost if the player wrecks. Players must take care of their vehicles and make sure not to accumulate too much damage before tackling a big mission. Fortunately, repair shops are littered all over Redview County, and when vehicles are driven by (through?) them they are automatically repaired. Each career mode also features a kind of headquarters for the racer and the cop. These serve as hubs that repair vehicles and allow players to choose the checklists they want to do and bank and spend points on upgrades/vehicles/pursuit tech. RivalsÂ can be played online or offline, but online is where the real fun is. You got your assholes here like you do in any other mulitplayer game, but for the most part it’s all just good-spirited competition. It’s an amazing thing to be able to drive around in your career while also witnessing other people playing theirs. If you want to be naughty, you can by all means become another player’s rival (pun intended) and attempt to destroy their vehicle as well. Beware, though, because they’ll probably return the favor. The shifts in gameplay in RivalsÂ are great. A race can become intertwined with another event that’s going on in the world, turning the race into something more. Distractions are everywhere. It’s up to players to decide if they want to travel off the beaten path or stay the course. More speed points can be earned by pursuing hindrances, but the game can also absolutely be completed by just sticking to checklists. Rivals Â hardly ever puts any limitations on what players can do. Rivals controls fantastically.Â I grew accustomed to its tricks and learned how to dodge and pull off stunts easily. If I did screw up, it was usually my fault. Flicking a trigger to drift around a corner never once sent a car careening out of control like it did often in past Need for SpeedÂ games. It’s easy to get into the swing of things, and it’s refreshing to play a game in which every vehicle behaves realistically according to whatever surface they’re touching. RivalsÂ is a beautiful game. Every bit of the huge world that is Redview County is a marvel to look at. It continues to amaze me that developers put this much care into environments in racing games when it isn’t necessary to. The cars themselves also look great. It’s difficult sometimes to distinguish them from their real-life counterparts. Also, there’s something extremely enjoyable about watching a vehicle go careening through the air after a nasty collision every single time. Not much can be said about Rivals’Â soundtrack, which is just a bunch of dubstep. It fits the game, but it’s nothing I’m a fan of. The voicework is indefensible and laughable. It wouldn’t cut it in a show on The CW. The cutscenes are all clips of computer screens or people doing…stuff. I have no idea what they were doing because the cutscenes are a confusing mess. Pop-up is a problem in almost any game that features online play, but it’s very noticeable in Rivals.Â The world hardly ever hiccups, but sometimes when I switched from online to offline I often had cars spawn directly in front of me and collide with my vehicle without warning. It happens online as well when the host whatever server you’re playing on decides to quit, but then it’s even more annoying because it happens in the middle of races or other missions. Host migration also often led to my vehicle just completely halting, which caused me to lose several races. The technical issues happen often, which is a big disappointment in an otherwise sublime racing title. 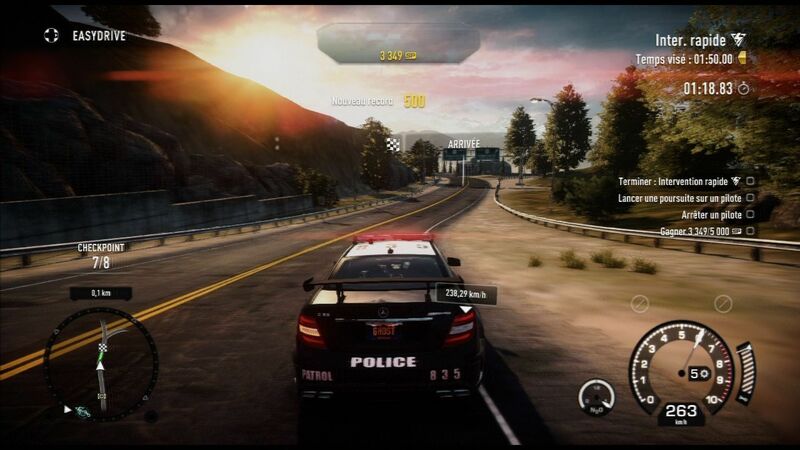 Need for Speed RivalsÂ represents a new beginning for the series, but it also pays respect to the past. It’s the first game Ghost Games has released, which is unbelievable considering how much quality is on display. The only thing holding RivalsÂ back are some technical issues, but they’ll probably be patched out. Still, they’re disappointing for the time being. But is RivalsÂ a great racing game? Absolutely.